This content is being updated. Thank you for your patience! Annicelia “Annie” Agbayani was born and raised in the Philippines. Her experience with education began about forty years ago and it’s been her career ever since! Annie earned both her Bachelor Degree in Elementary Education and her Master of Arts degree in Education in Laoag City, Philippines. 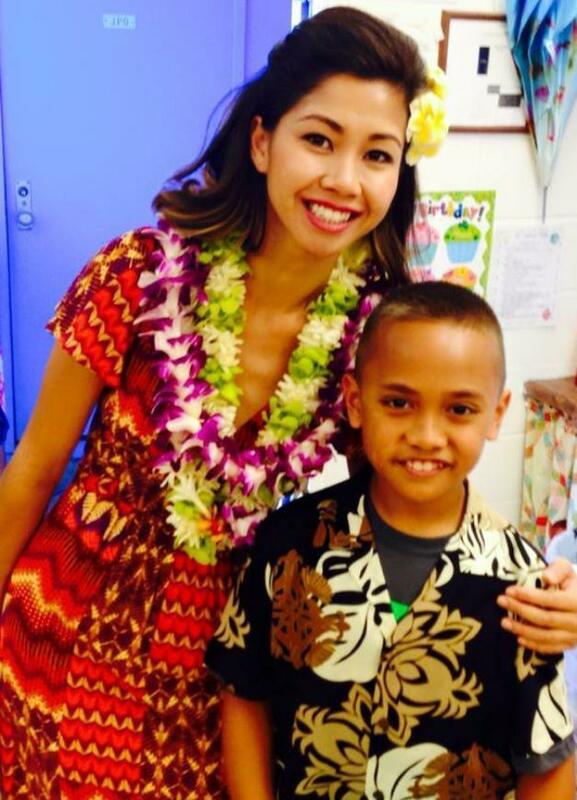 Before moving to Hawaii, she worked as a teacher, head teacher, and school principal. 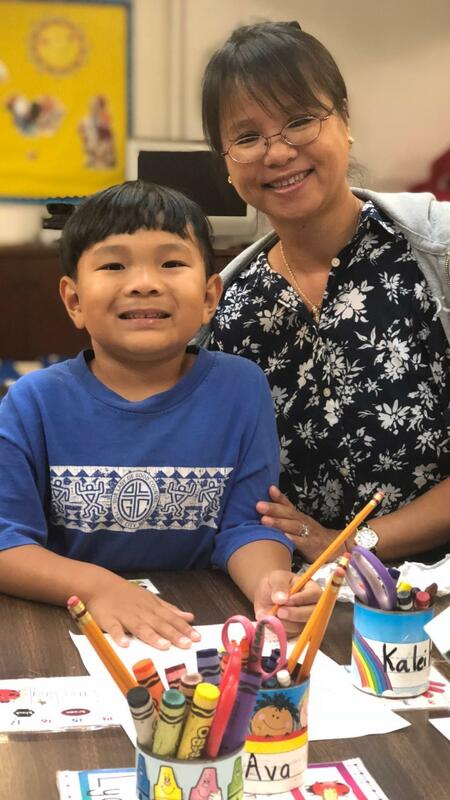 She spent her early years in Hawaii as a teacher’s assistant at Our Lady of Good Counsel School and continued her professional education at Hawaii Community College where she received training and became skilled in early childhood education. Annie has been a preschool teacher at OLGCS for nearly 20 years. Esther Amano was born and raised in Kalihi directly across of Saint Anthony’s School. She currently resides in Mililani Mauka with her brother, who works for the bus. Esther has two adult nieces, Jennifer and Jazmin, and two grown nephews, Justin and Jarred. She is blessed with an eight-year-old grandniece named Lillyana and a two-year-old grandnephew called Ocean. Esther earned an Associate’s degree in Secretarial Science and a Bachelor’s degree in Business from Brigham Young University-Hawaii. For ten years she was employed with Shearson American Express Mortgage Company. With the encouragement and support of a close family friend, Esther returned to college to obtain a P.D. in elementary education from the University of Hawaii-Manoa. Her dream was always to become a teacher ever since she was in third grade. This almost didn’t happen, because Miss Amano is by nature an introvert. 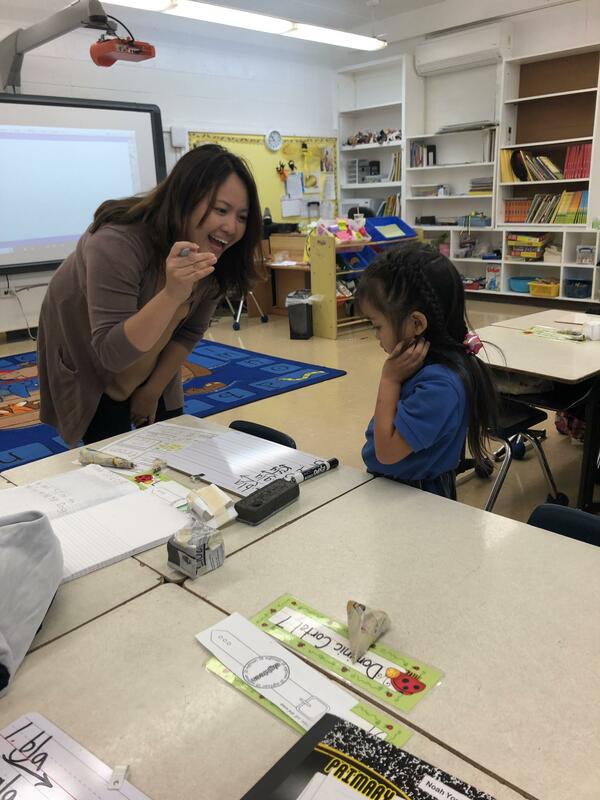 Her first job was at Ala Wai Elementary School teaching English as a Second Language. 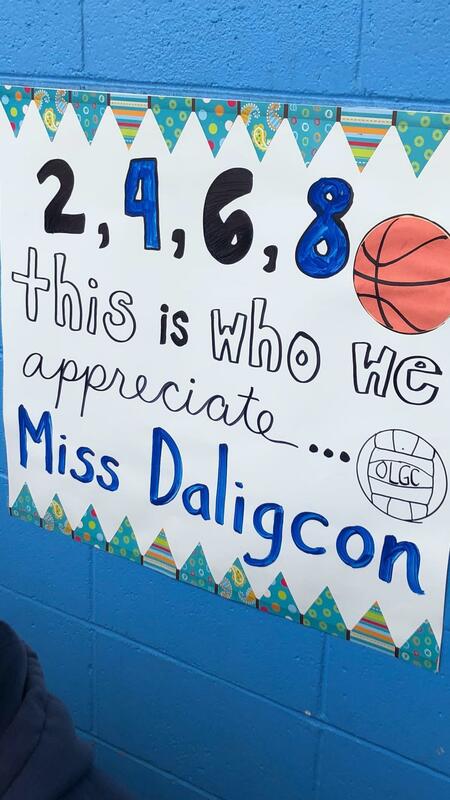 She also spent two summers instructing incoming freshmen from Moanalua High School. 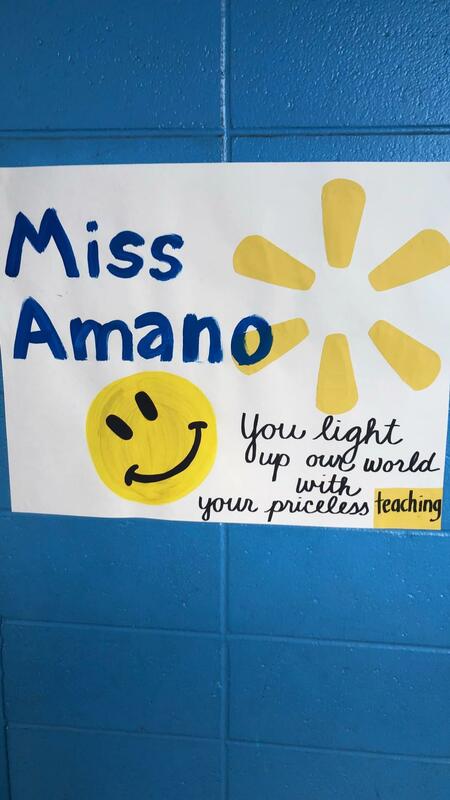 In 1991 Miss Amano became the 8th-grade teacher at Our Lady of Good Counsel School. Her first class consisted of ten boys and twenty-three girls. Rayette Badua-Villamor was born and raised in Nanakuli, Hawaii by her mother Bernadette Kurch and her late father, Remigio Badua. She holds a special bond with her 7 sisters and 3 brothers. Rayette attended Nanaikapono Elementary School and graduated from Kamehameha Kapalama Campus. She continued higher education with 2 years of college at the University of Hawaii West Oahu where she studied Psychology and is currently enrolled as a student at The University of Phoenix earning her Bachelor Degree in Elementary Education. Before being hired at Our Lady of Good Counsel School, Rayette kept busy as a full-time student, a cashier, a sales representative, a food runner, and an afterschool care lead at Island Pacific Academy. In November 2010, she was hired as a full-time Preschool assistant. Her past service to the school includes teacher assistant in Preschool 3 and 4 and grades 2-3 and after school care teacher. Rayette currently serves the children in Preschool through grade 8, as the school’s "21st Century Librarian". Her role supports the rapid increase of electronic resources and the accompanying metadata that chart those resources for easier navigation. She has been working on digitizing and organizing the newly renovated library and will be collaborating with all classroom teachers and students to provide efficient navigation of selected topics. Tori Bautista has lived on Oahu all her life. She’s a graduate of Pearl City High School and continued higher education at Leeward Community College, University of Hawaii and earned a Bachelors degree in Elementary Education from Chaminade University in December 2001. 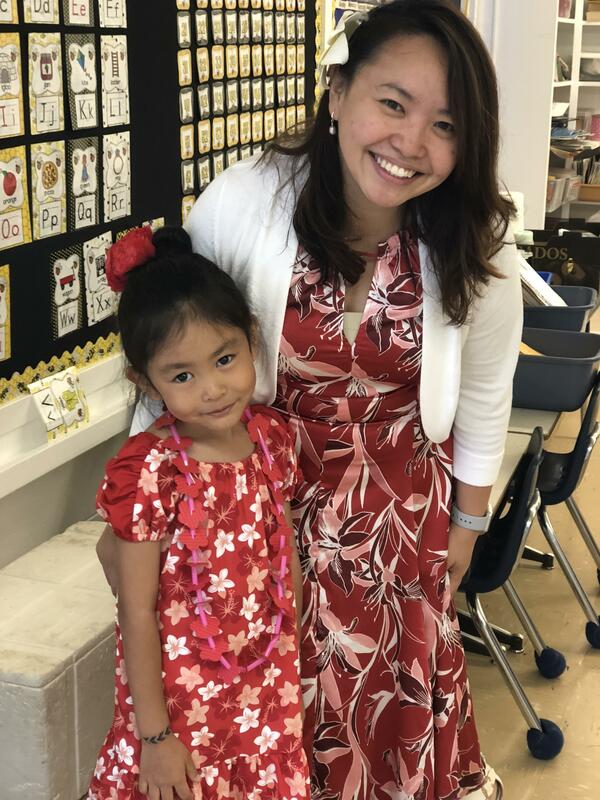 Her professional work began in the Department of Education at Kapolei Elementary School and Leihoku Elementary School teaching grades 1-3 where she taught for five years. While teaching in the DOE, she also became actively involved in our parish, Our Lady of Good Counsel, receiving her sacraments through RCIA in 2002, becoming a lector and a catechist for First Holy Communion. Warren Cabading is from Oahu, Hawaii. He attended the University of Hawaii and graduated with a Bachelor Degree in Education in the year 2000. While in college and at the age of 23, he came to know the Lord. As he grew in the Lord; so did his passion for Praise and Worship. This passion for music allowed him to be part of a music ministry that preached the Gospel to a multitude of youth in several states. His blessings continued and led him to be a part of a Christian Punk Rock Band that toured the State of Hawaii and various parts of the mainland. The band was nominated for a Na Hoku Hanohano Award and they claimed a “Hawaii Music Award” for Best Ska Band. During those times, he also attended classes at UH to earn an Education degree. As his touring band career ended; his career as a teacher began. He started teaching at Our Lady of Good Counsel School as the computer teacher and for three years before transferring to Kapolei High School where he taught Graphic Arts for five years. He returned to Our Lady of Good Counsel as the fifth-grade teacher. Mr. Cabading's role as IT Teacher for grades Kindergarten- Grade 8 and Art for grades 4-8 began in the school year 2018-2019. Maria Cristobal is Our Lady of Good Counsel’s Preschool Teacher’s Assistant. She was born in the Philippines and moved to the island of Hawaii with her family at a young age. She is blessed with a loving husband and an amazing daughter. She attended Cannon’s International Business College in Honolulu. 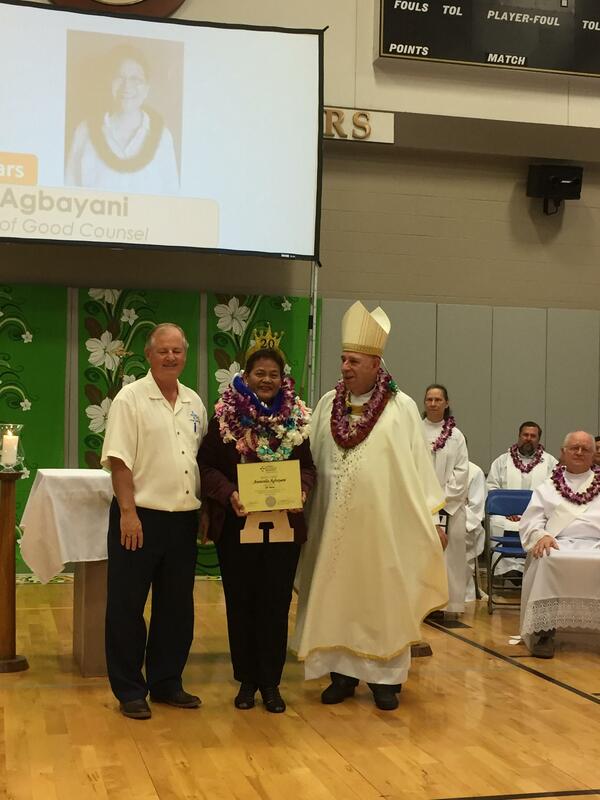 Maria has been working for the Diocese of Honolulu for 14 years as a Teacher’s Assistant. After graduating from Oceanside High School, she moved to Nu’uanu, Oahu and she describes that time as a blessing to live with her Grandma Edna Pe’a - Nahale to Kokua Ohana. She was able to learn and enjoy the Hawaiian Style life and further her education. Donna attended the University of Hawaii at Manoa and graduated with a Bachelor Degree in Human Resources and Early Childhood. 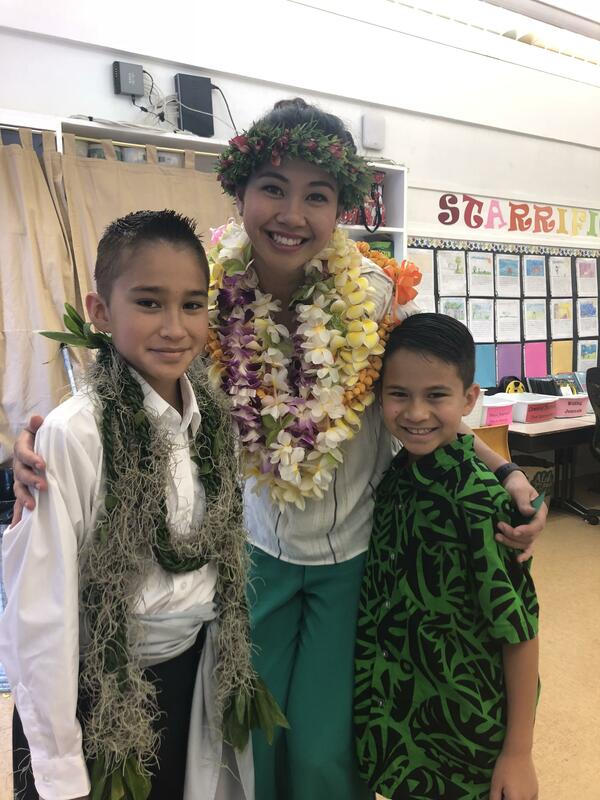 While in the UH student mentorship program, she taught Physical Education classes at the Maryknoll Grade School under the outstanding guidance of Mrs. Pattie Heatherly. In 1992, she was hired by Sr. Davilyn Ah Chick as the Physical Education teacher and Athletic Director of Our Lady of Good Counsel School. Matilda “Nellie” Enos was born in Ilocos Norte, Philippines and arrived in Hawaii where she grew up in Pearl City with her parents, sister, and two brothers. Nellie has been married to her wonderful husband, Tay Enos for 33 years and they’ve been blessed with two beautiful daughters, two sons-in-law, a grandson named Zealand, and they are awaiting their granddaughter’s arrival this winter. In her free time, she enjoys gardening, sewing, and relaxing with her family’s furry members, Brutus and Ace. Her daughters are alumnae of OLGC School and she became a staff member while they were students. One day, she was approached by the after-school teacher, the late June Carvalho, who asked if she wanted to work at the school. Nellie began her work at OLGC School in 1991 as a teacher’s assistant and eventually became the school’s office receptionist. Besides serving in the office, Nellie also aids ill or injured students, prepares the daily milk, and prepares the copies of the weekly Thursday memos. Catherine Garnsey hails from Cold Spring, NY, a small community 50 miles north of New York City on the east side of the Hudson River across from West Point Military Academy. After a house fire in 2014, she and her family moved to Mililani, HI to live with her Army Special Forces son and his ohana until the house could be re-built. Catherine and her husband and high school sweetheart, Rob, liked Oahu so much that they decided to sell the NY house and stay in Hawaii. They are parishioners of St. John Apostle & Evangelist Catholic Church in Mililani. Catherine has a BA in Behavioral Science from Mercy College in Dobbs Ferry, NY, along with both New York State and Hawaii State teaching licenses in Elementary Education (grades K-6) and Special Education (grades K-12.) She also holds a Masters of Religious Education from Franciscan University in Lodi, NJ. Her career began 17 years ago teaching 3rd grade at St. Joseph's School in Croton Falls, NY. Catherine is delighted to be the new Grade 3 teacher at Our Lady of Good Counsel School. "My students are wonderful and the pastor, faculty, and staff are so gracious and supportive," she says. 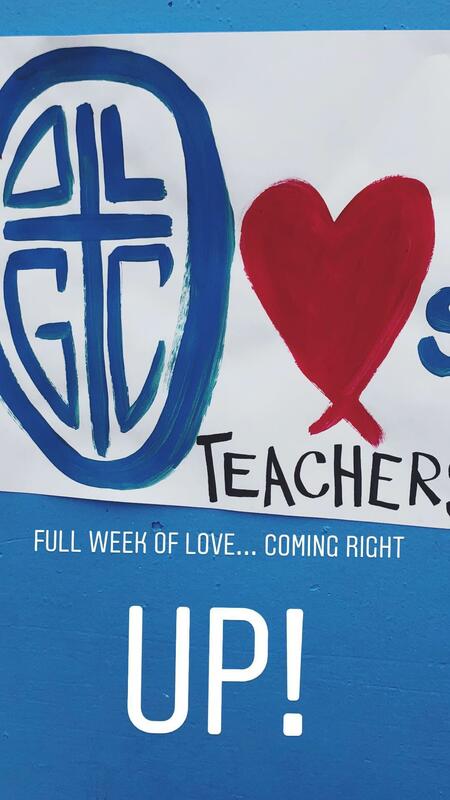 "I know that God sent me to teach at this school because it feels like I have come home again." Theresa “Teri/ Miss Nic” Nicolas is OLGC School’s longest-running staff member, serving since the start of the 1991 school year! She and her husband, Leroy Nicolas, Jr. have two sons who are graduates of OLGC School and continued their education at Iolani and Damien. Teri has two grandsons and one is currently enrolled in the OLGC Kindergarten. She currently serves the school as the office secretary, but she willingly serves the school in many other ways. Teri also comforts ill or injured students and assists in students’ general needs. 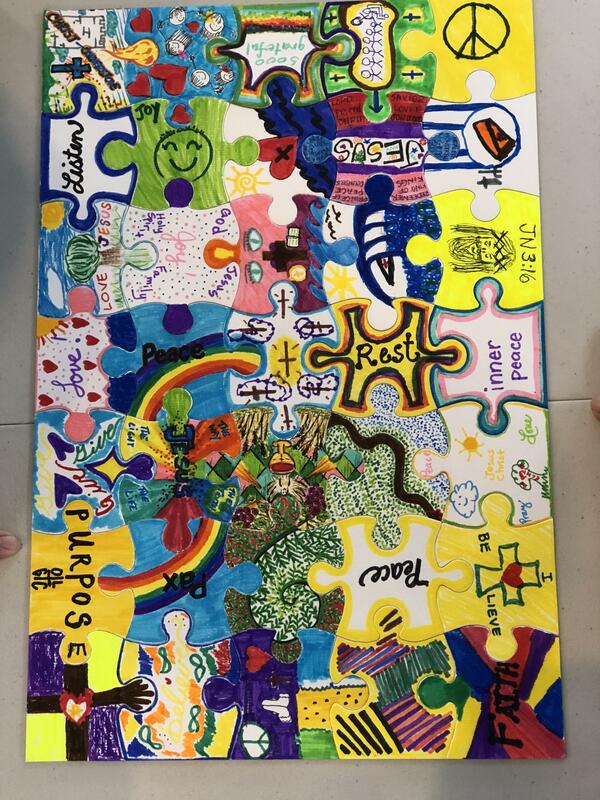 The staff looks forward to her hospitality and extra joy she puts into preparing staff events like in-service, faculty and staff gatherings, and office and school liturgical and seasonal decorations that put the entire community in a cheerful spirit. Ms. Pamplona "Ms. Jo Ann"
Miss Jo Ann is OLGC School's morning care teacher, Kindergarten-Grade 2 Aide, and preschool after school care teacher. She is blessed with two young adult daughters Nicole and Nellani Tabada, who are also active with ministries in the church. Jo Ann began as a salesclerk and she was a bank teller for many years. As a teacher, she has grown a love of working with children. She is a Eucharistic minister, an adorer in the Perpetual Adoration Chapel on Sundays, active in the Filipino Ministry and Fellowship Ministry, and a member of Missionary Basic Christian community. 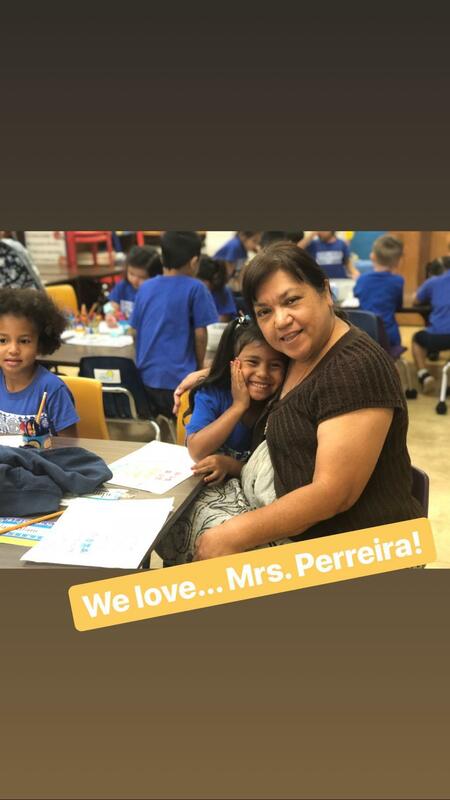 Genette Perreira, born and raised a cradle Catholic in Kalihi, is our Preschool 4 teacher. Mrs. Perreira is an alumna of Sacred Hearts Academy and attended Gonzaga University in Spokane, Washington. Returning to Hawaii, she graduated from the University of Hawaii in Medical Technology and interned at Tripler Army Medical Center. Her past employment includes DOE school health aide, Parents, and Children Together health assistant, Kamehameha Schools Parent Educator and Tutu and Me teacher. She is married and has three adult children and four grandsons. Her eldest son serves as a priest in Guam. 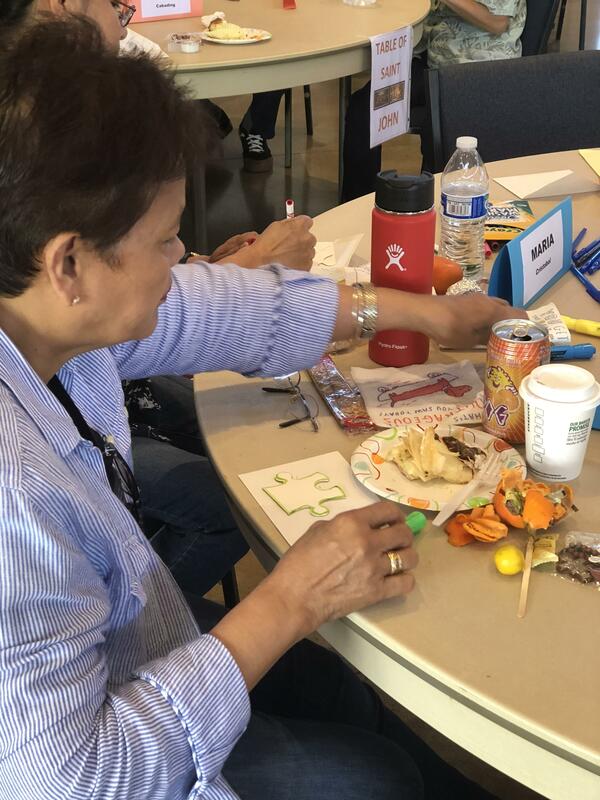 The parish ministries she is actively involved in are Lector, RCIA, catechist, Filipino Catholic Ministry and a small group scripture sharing community. She volunteers for Vacation Bible School and is trained in Love Ed. Her interests include singing and vermiculture. 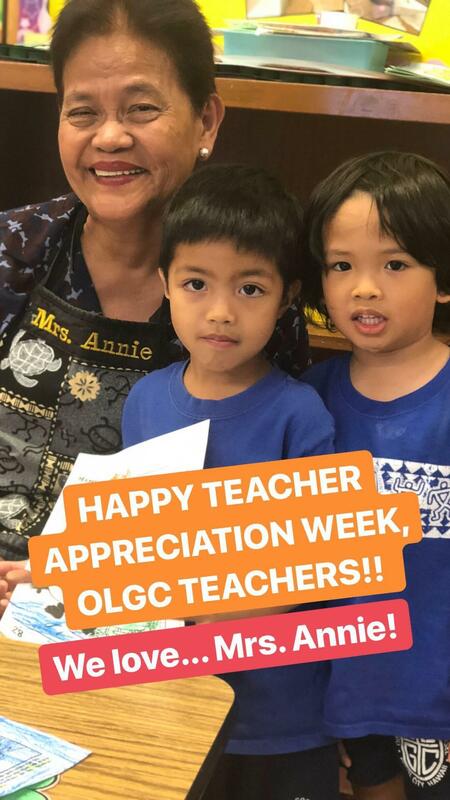 Bernice Quidayan is Our Lady of Good Counsel's Kindergarten Teacher. She was born and raised in the Philippines and moved to Hawaii with her husband 5 years ago. She has a Bachelor of Science degree in Psychology and a Bachelor of Science degree in Nursing. She was a First Grade Teacher for two school years and a fifth Grade teacher for one school year. Her recent work includes skill training and worked as a Registered Behavior Technician for Hawaii Behavior Health from 2013-2016. She has also worked for a year as an Autism Education Assistant for the Department of Education. Nellani Tabada grew up in Pacific Palisades in a multi-generational extended family home. She is the youngest daughter of Jo Ann Pamplona and younger sister of Nicole. Nellani serves OLGC School as the Kindergarten-Second Grade after school care teacher and she shares her musical talent with the entire school by helping in the choir. Nellani was initiated into the Catholic Church and started serving in Church ministries at age 7. She is currently involved in Young Adult Ministry, Stewardship Committee, and a faithful Eucharistic Adorer. She first began work at OLGC School in 2005 as an after school care teacher and teacher's assistant and left in 2007 to do full-time ministry with youth and young adults in Kailua and Honolulu with InHim Ministries. Although she was not on staff, Nellani continued services and volunteered at the school to help the office and teachers throughout the years until returning to work in 2017. 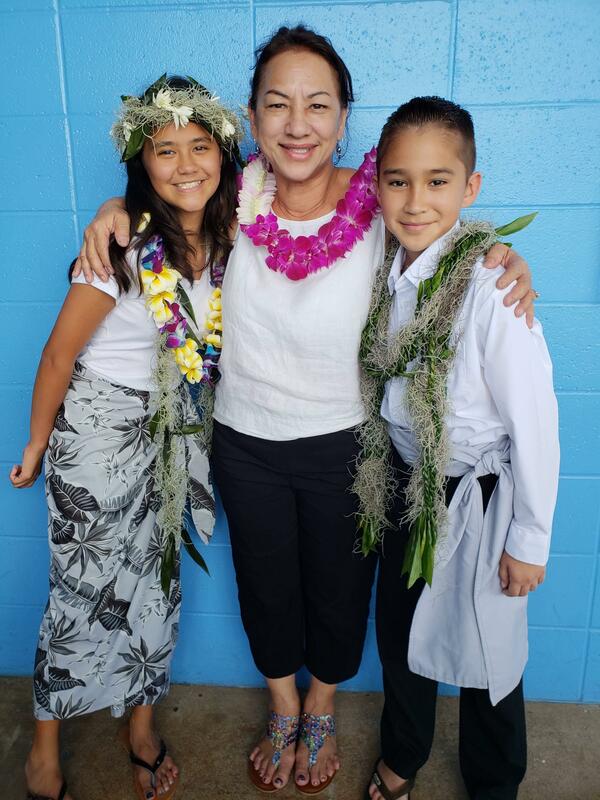 Sylvia Tsuda brings more than 22 years of teaching experience in public and Catholic school education in Hawaii and Guam. She began her educational career as a Language Arts teacher. She holds a Bachelor’s degree in Speech from the University of Hawaii at Manoa and a Master’s degree in Education from the Chaminade University of Honolulu. 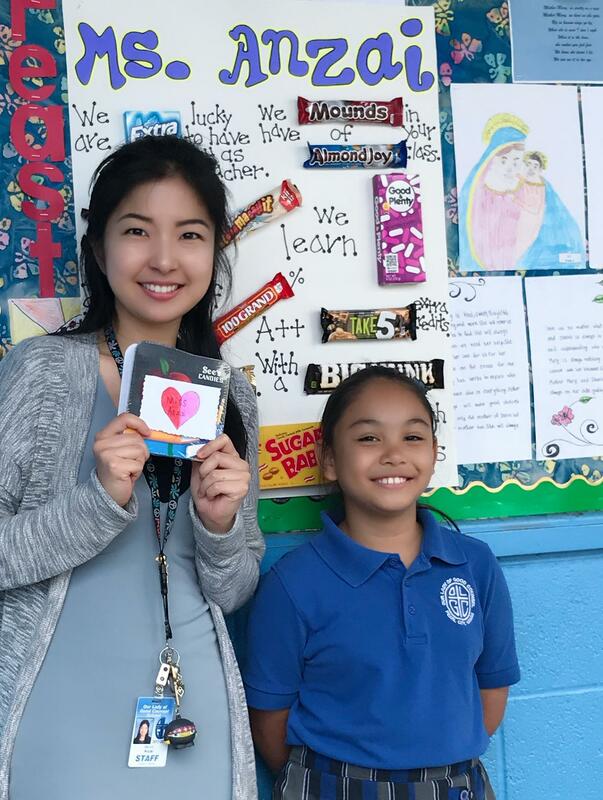 While working at Saint Anthony School, a premier Catholic elementary/middle school on Guam, she started the S.H.O.U.T. (Students Helping Out) program in partnership with the Bank of Hawaii which was an Islandwide private and public program that promotes community service. 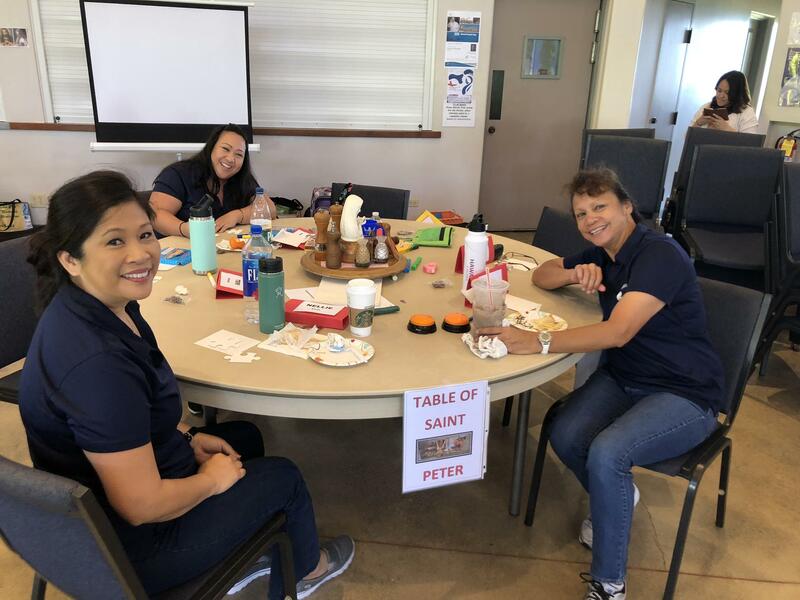 After six years of service, she moved, with her family, to Hawaii where she has been with Our Lady of Good Counsel School from 2001 to the present. She started as a kindergarten teacher then moved to the 4th grade, then 5th grade and is now the 6th-grade homeroom and science teacher. She started the school’s participation in the HAIS (Hawaii Academy of Independent Schools) Science Fair program in 2013. An average of eight students a year move on to represent the school in the HAIS District Science. During this period five students have moved onto the State Science Fair. Michael “Painahala” Weaver was born and raised in Pearl City, Hawaii and he is blessed with a beautifully complete family which includes his mother, father, older sister, younger sister, brother-in-law, and niece. Michael is a graduate of Assets High School. Through Assets’ mentorship program, he was able to teach at OLGC School alongside PE teacher, Ms. Donna Daligcon. It was this wonderful experience that influenced Michael’s return to serve on staff this year. Before being hired this year, he worked as an A+ monitor for grades Kindergarten-6th grade at Palisades Elementary School. In his free time, Michael enjoys going to the beach, farming, and watching college and NFL football. He especially enjoys providing his students with hands-on activities and he encourages outdoor sports to promote physical activity. 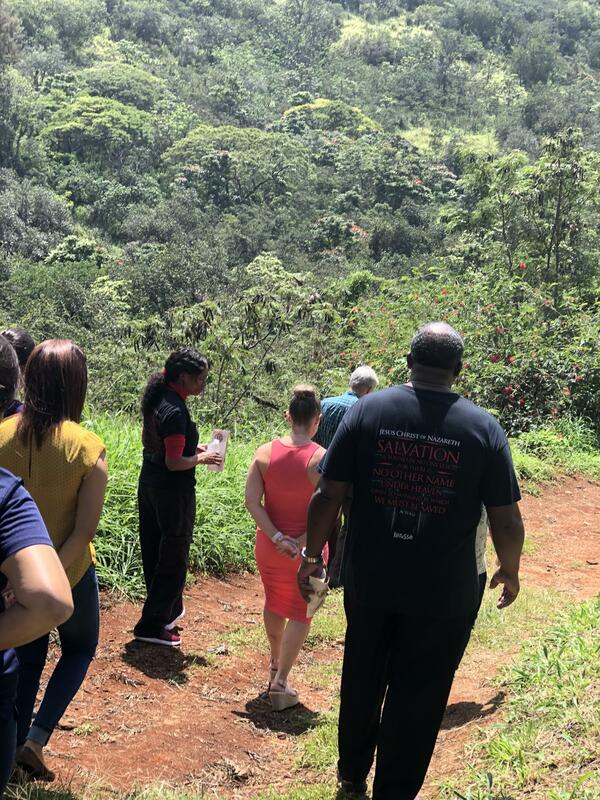 Michael has also shared a recent vision to assist Ms. Daligcon in her efforts to begin a school garden which will involve all students of OLGC school to appreciate and experience cultivating the land and nurturing plants. 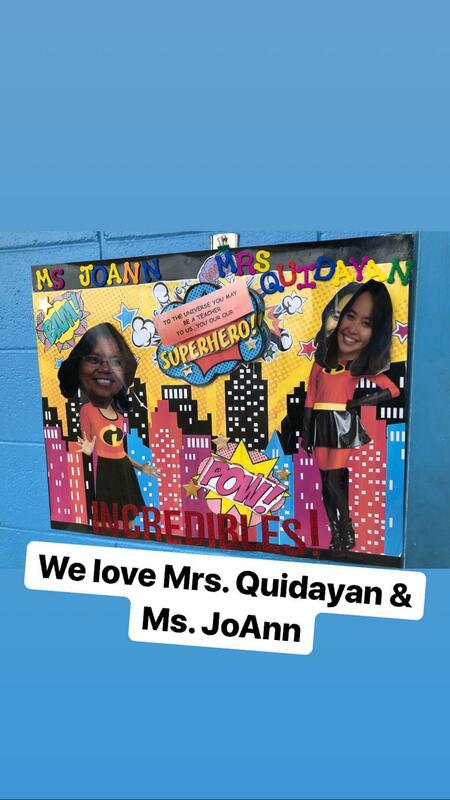 Mrs. Annie Agbayani celebrated 20 years of service in school year 2017-2018! Thank you for your kindness, Mrs. Annie! 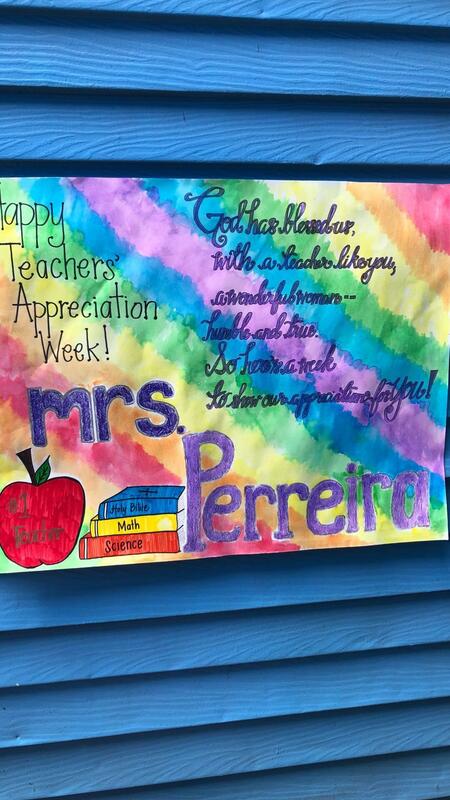 Thank you for your love, Mrs. Perreira! 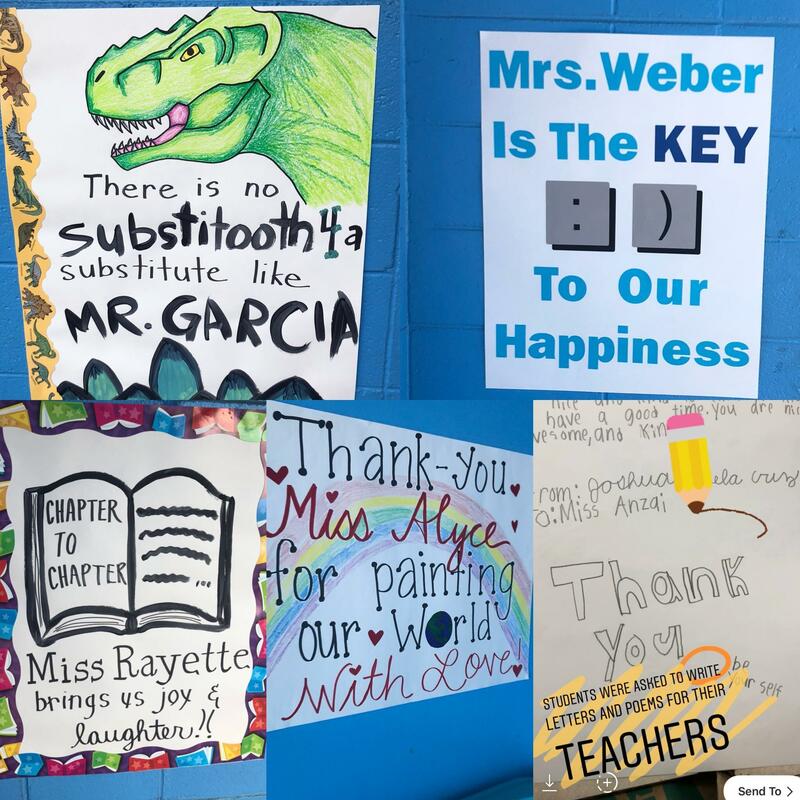 A teacher's aide is a blessing! 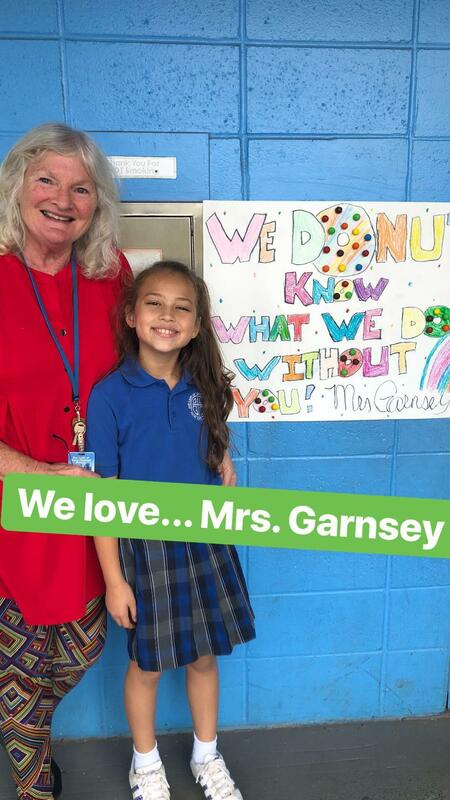 Thank you for your wisdom, Mrs. Garnsey!